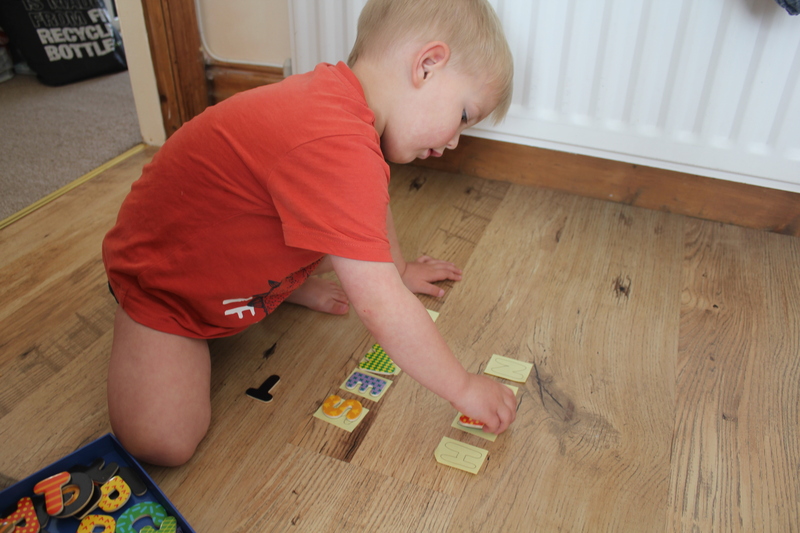 At both home and playgroup, James has been doing some simple name recognition. 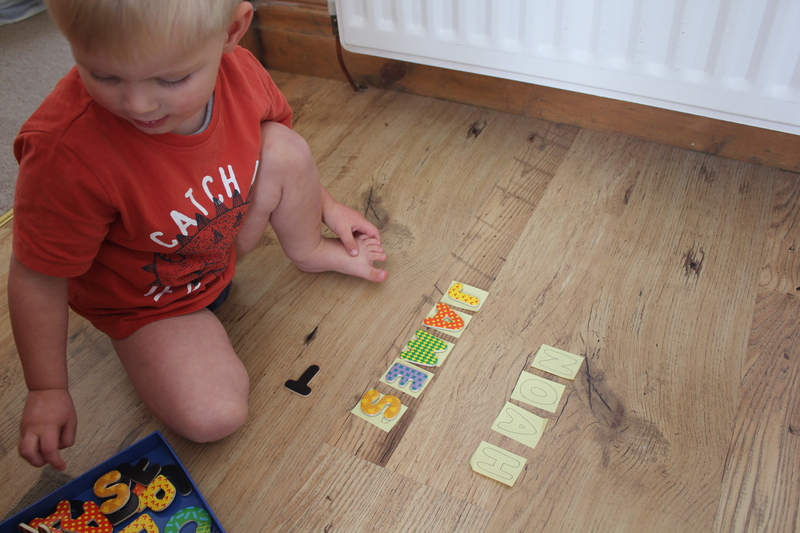 We’ve been playing little games to see if he can spot his name, and to begin to see the shapes of the letters to make up his name. I used the letters we got in our fabulous Almondella box, and some little post it notes. I tried to write in a similar typeface as the magnetic letters, that way it was more about matching the shapes and keeping it simple. I suppose in the future we could do a pile of different styles of letters and match all the Js, As, and so on. 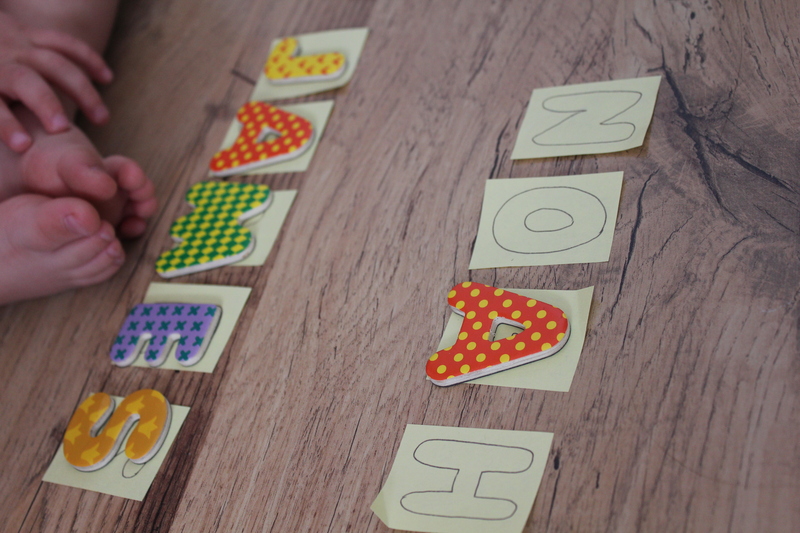 When he had matched his name, James asked for Noah’s name in post it notes, and I quickly obliged. Not quickly enough, it would seem, because James literally only placed the A and jumped up to play something else. 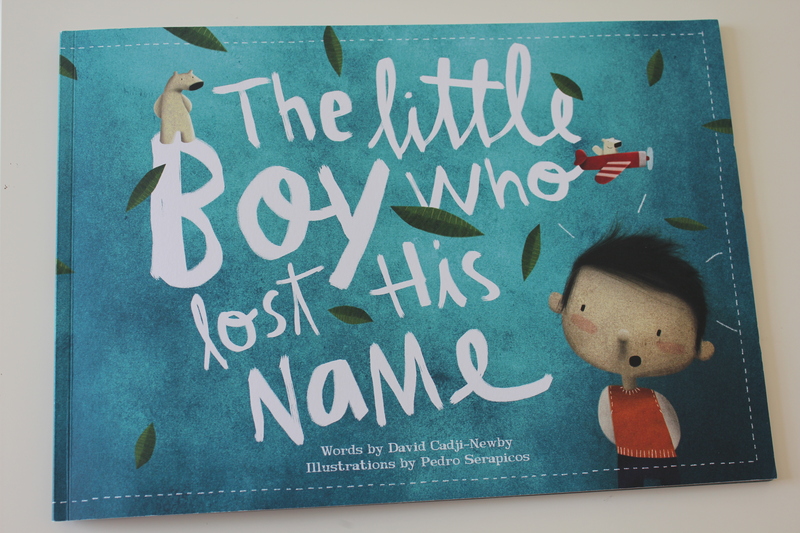 This week we’ve been reading The Little Boy Who Lost His Name, which is a personalised book. 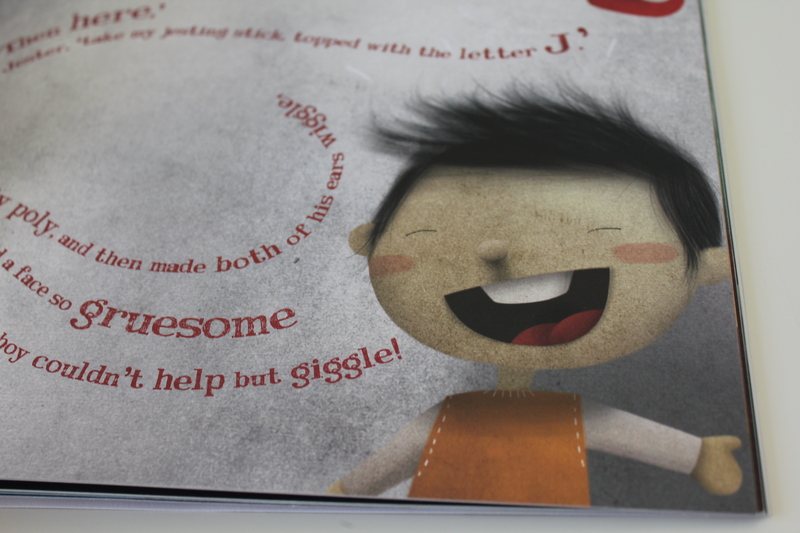 The little boy wakes up one morning to the horrendous discovery that he’s completely forgotten his own name. He embarks on an adventure to find the letters to make up his name, meeting strange and wonderful creatures along the way. Each character helps him find his name by gifting a letter from their own name. The pages are thick and great quality, and the illustrations are fantastic. I like the way the text is displayed on the pages. It is quite a good bedtime read as it is quite wordy with a nice rhythm. Rob finds it very soothing, and comes out of James’ room in quite a daze after reading this book. 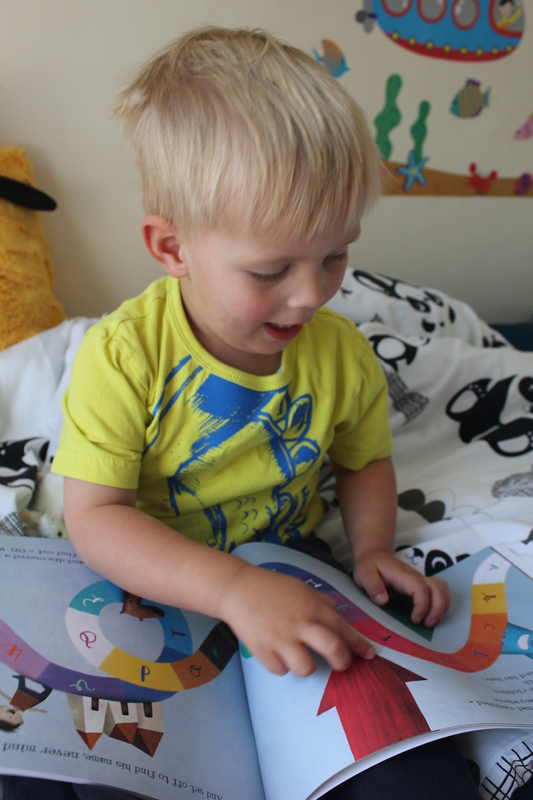 These books make a ideal gift for children, as they’re just for that little one! I imagine they’d be a fairly quick read if you’ve got a child with a very short name, like Tom or Eve, so I’d guess you could include a middle name in those cases! That sounds like a lovely book. My almost 3 year old is getting really excited about letters now. Whenever she spots the first letter of her name out and about written on anything, she shrieks with excitement! Yes, I think it’s also great for preschoolers and early readers, too.